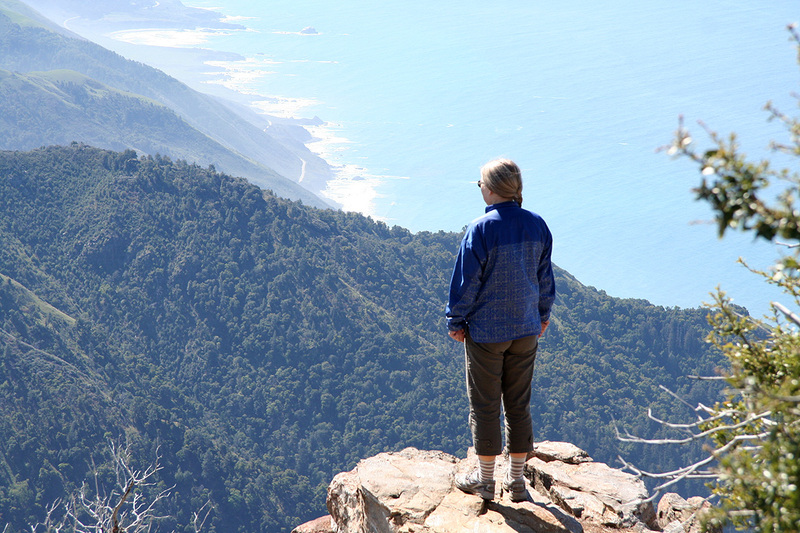 Location: Santa Lucia Range on the Big Sur coast, California. 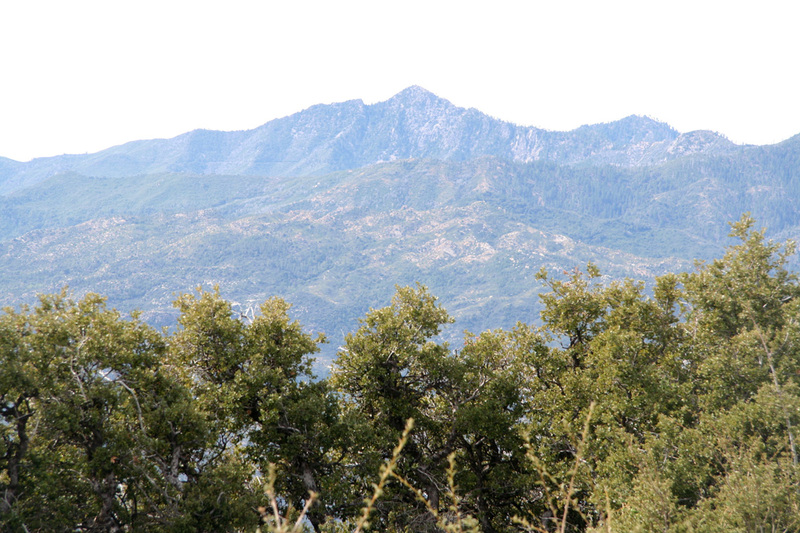 Nearest higher peak is Junipero Serra 1787 m, to the east. Drive uphill on this good, but somewhat narrow paved road until mile 11.5 (km 18.5). 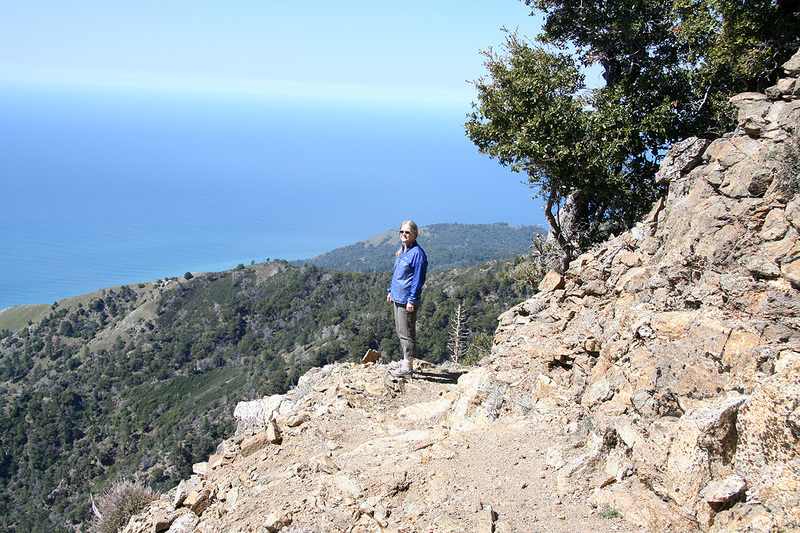 You are now at a saddle on the very top of the ridge. The paved road continues downhill from here. Leave the paved road by turning left. There is also space for possible parking here. The road is now dirt, there is a gate that may be closed in winter or during wet periods. A sign says that the road is impassable during wet weather. This road is called Coast Ridge Road. 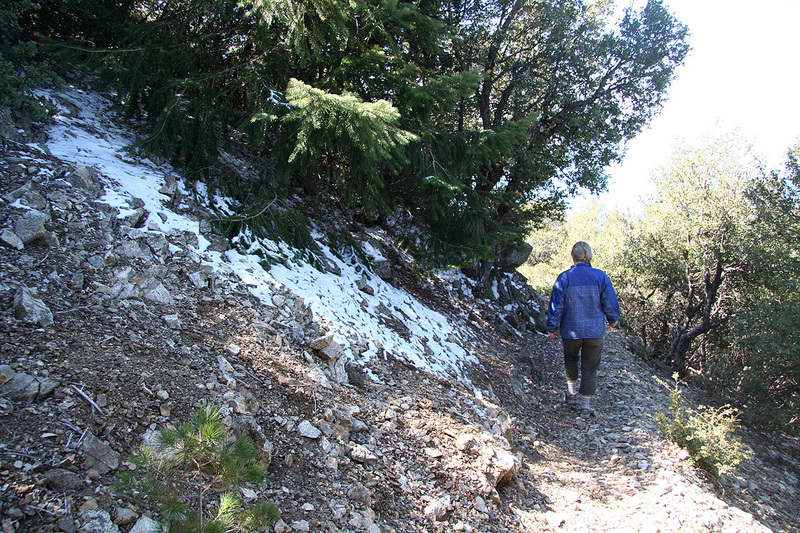 Hiking from here is quite possible, the round trip would be about 15 miles, or 24 kilometer. Assuming the road is open, continue to mile 16.9 (km 27.2). The clearly marked Cone Peak Trail starts up on your left, there is parking space for several cars straight ahead on the left side of the road as well. 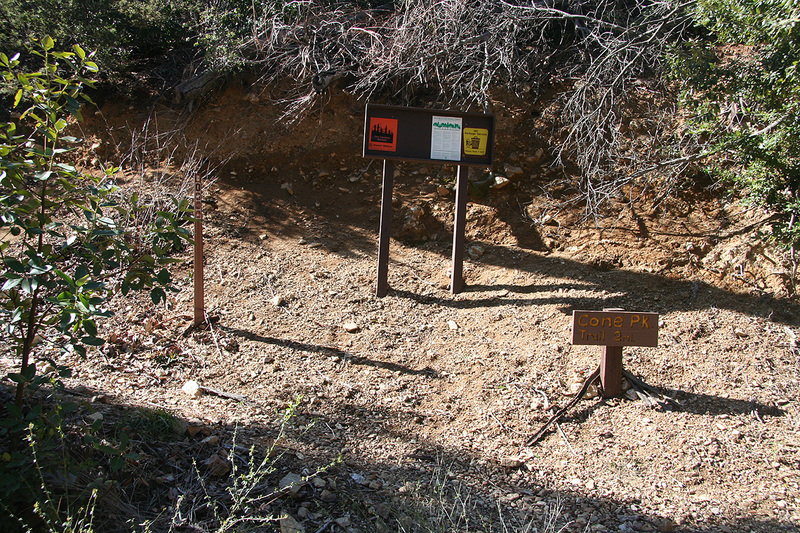 This is the trailhead, location N36:02.552, W121:29.030, elevation 1125 meter. 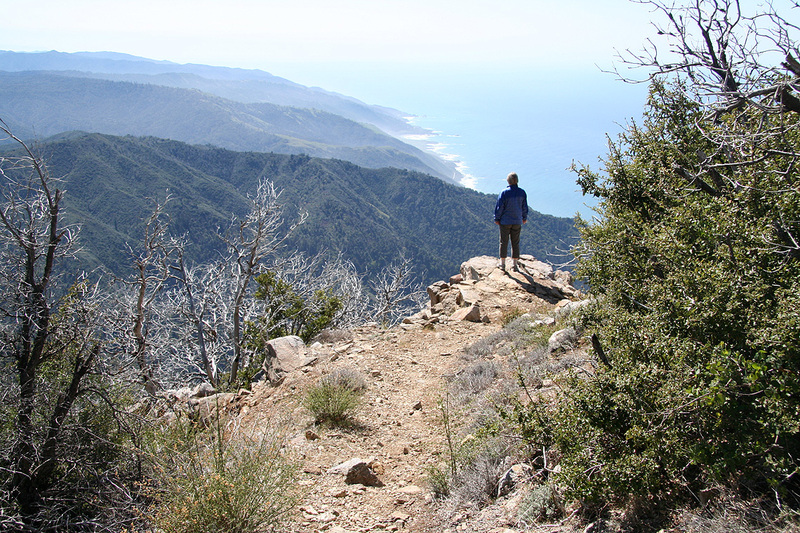 Route description: Follow this very nice and easy trail from the trailhead to the summit. The trail is certainly very appropriate for a family hike. It seems well maintained and there are no places to get lost. Comments: I did this hike with my wife Heidi. We left the car around 1000 and made the summit at 1100 after a leisurely hike in absolutely gorgeous weather. We rested on top and enjoyed the nice views all around. This peak raises straight up from the Pacific coast, one can see Hwy. 1 as well as the surf along the coast, then endlessly the blue Pacific. 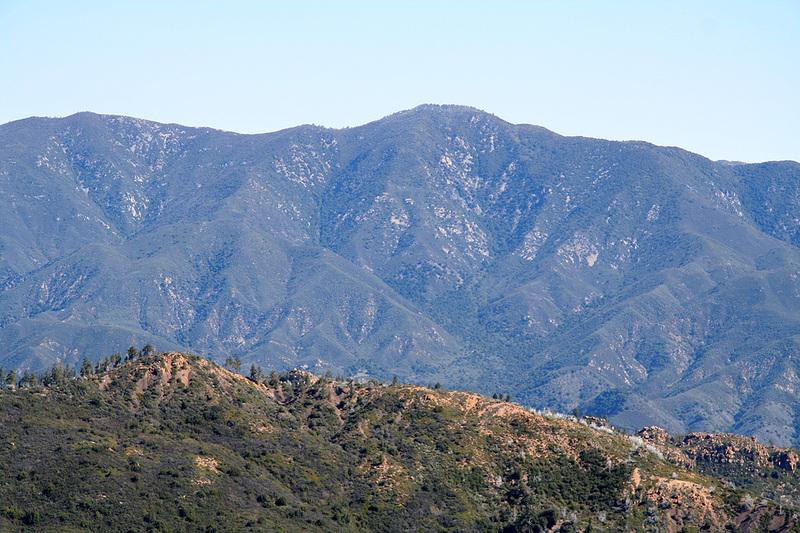 The view across to Junipero Serra Peak, that I visited 2 days earlier was also very clear. 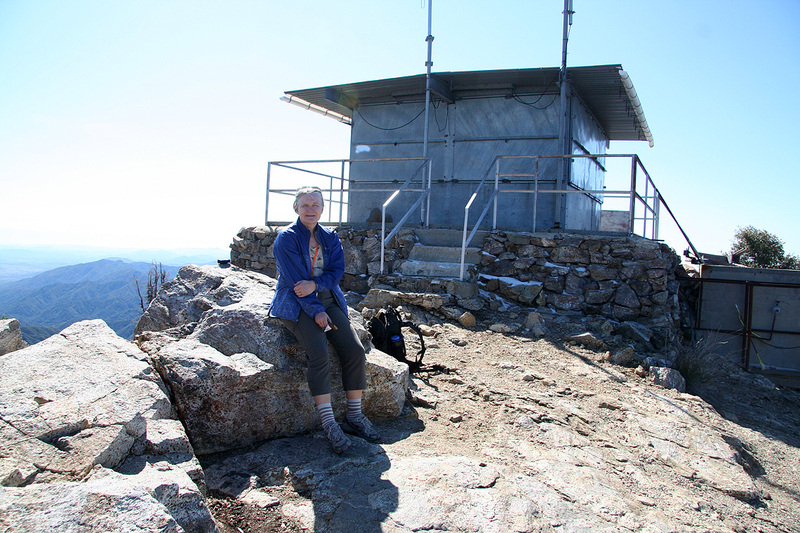 There is a small (closed) lookout hut on the summit. The highest rock point is just north of this small structure (A higher point may have existed before this construction). On the south side of the hut is a USGS benchmark saying 5148 feet (1569 meter), however this is clearly about 2 meter lower than the highest point. The 5.4 mile (8.7 km) dirt road (Coast Ridge Road), was in excellent condition, being groomed very recently. Perfectly fine to drive with an ordinary car. In fact, we met about 5 Forest Service vehicles just as we turned north on Coast Ridge Road. We speculated that they may just have opened the road for the season immediately before our arrival. Cone Peak, as seen from Junipero Serra. 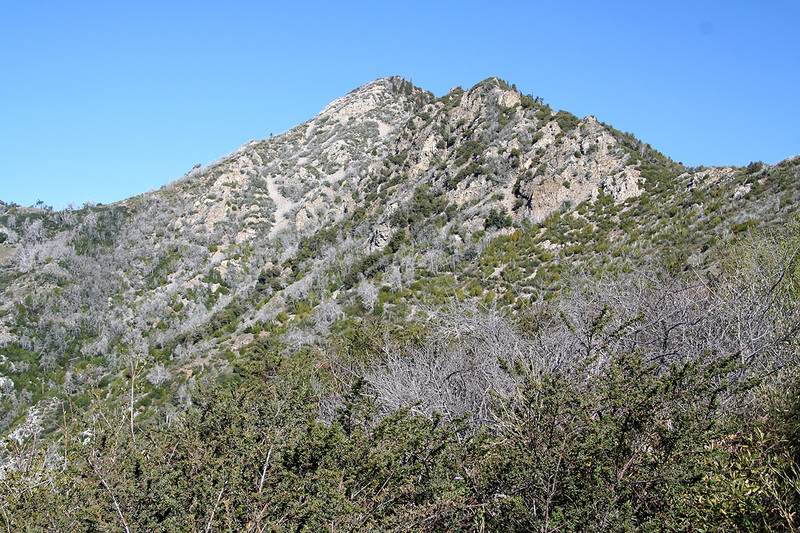 Cone Peak, as seen from the trail. 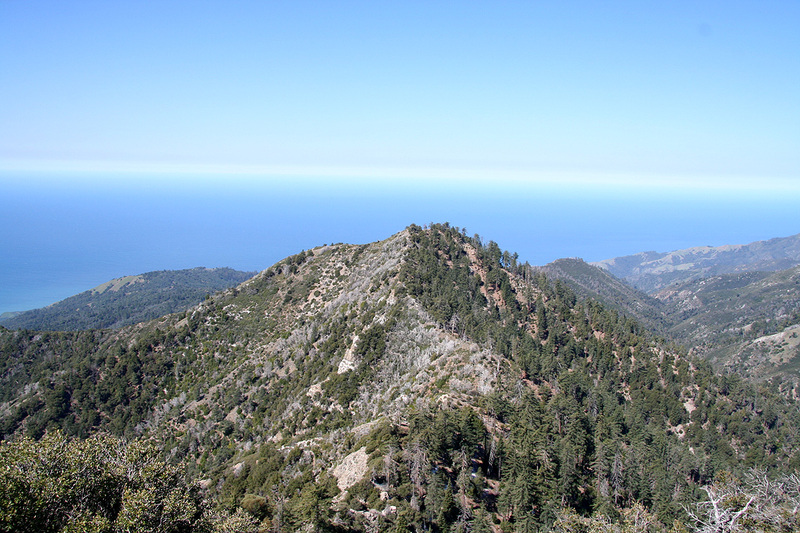 Junipero Serra Peak, as seen from Cone Peak. 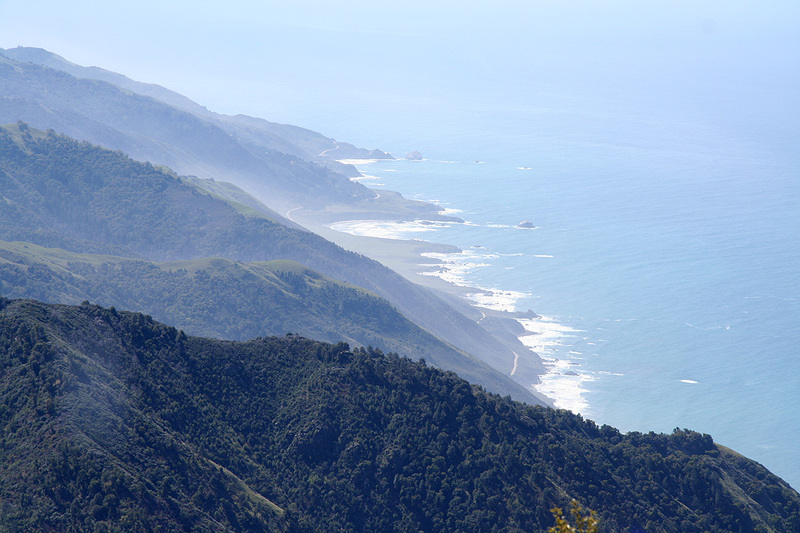 Summit view, the California coast with its surf. Heidi descending, there are patches of snow on the north slope. Summit Panorama, the view runs from north via east towards south.